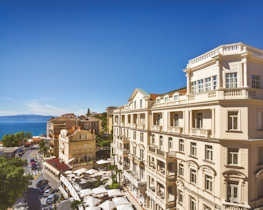 Occupying a prime seafront location near the centre of Opatija just above the famed Lungo Mare promenade which stretches 12 km from Volosko to Lovran, Remisens Premium Hotel Ambasador features well-appointed accommodation. 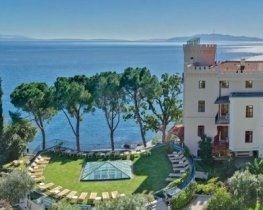 One of Opatija’s premier hotels boasting great views and set within beautiful Mediterranean-style gardens. A local landmark in the centre of Opatija, the newly refurbished Remisens Premium Grand Hotel Palace stands boasting neo-baroque style interiors complemented by modern day amenities and attentive service.